Donate foreign coins to charity – do something good today! You can now donate foreign coins to charity and make a real difference! At cash4coins we buy unwanted foreign coins – most people have spare foreign change left over from their holidays and this gets put in a drawer or change jar never to be seen again! UK banks don’t exchange foreign coins so even if you did try to change it you would not be able to. Cash4coins.co.uk are different, we buy foreign coins and pay you via direct payment or Paypal (if you have a Paypal account) as well as cheque, which means that you can now donate foreign coins to charity. All you need to do is collect as many foreign coins as possible and then send them to us here at cash4coins and we will convert foreign currency into Sterling and donate the money to charity on your behalf. You can specify the charity that you want to donate foreign coins to, it could even be a school, hospital, local club or team – the choice is entirely up to you. Do you have a local charity that you wish to send your money to? Just let us know their charity number and we will do the rest. You can also request the money to be sent to your own bank account should you wish to make your donation in person. If you want to send us coins so you can make a charity donation then go to our page ‘How to send us coins‘ – to see what our customers are saying about us check our our comments page. The good news is that we exchange ANY coins from Euros to Pesetas (and every currency in between) – we even exchange old British and Irish coins. What foreign coins could you have hanging around your home? Many of our customers tell us how surprised they were to find so many different coins. If you have been on holiday recently or have currency leftover from holidays across the years, why not collect it all together and send it to us. We will even collect it for free if it weighs over 5KG. It really could not be easier to donate foreign coins to charity and we are here to help you. We even count and sort your coins for you. Do something good today. Turn those unused and useless coins into something worthwhile for the charity of your choice! Many of our customers collect coins as a fundraising activity, they get together with friends, colleagues, school friends and neighbours to collect foreign coins for charity. They then donate foreign coins to charity or a good cause by sending the coins to us here at cash4coins.co.uk – we change the money and send the payment to the charity on your behalf. 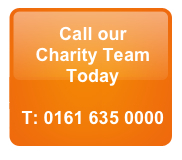 Call our charity team today to see how we can help you.